Installing a template in Joomla is always an easy task that doesn’t take much of hassles. 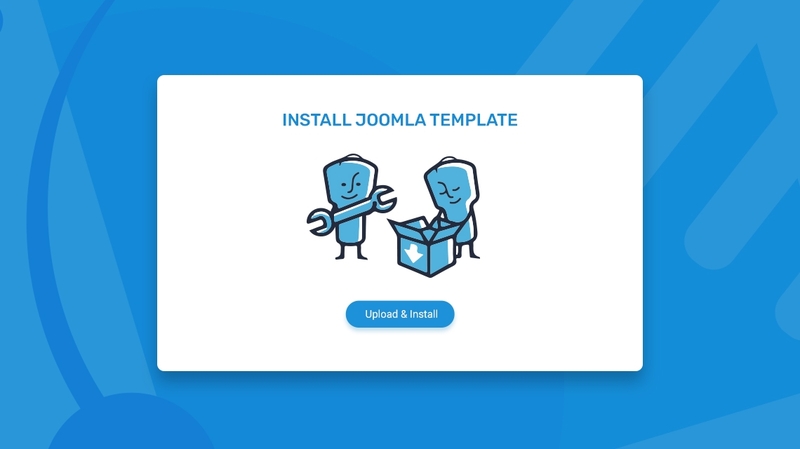 You need to follow a few simple steps to install and enable a Joomla template. There are several ways to get it done. The time-consuming event occurs when you want to install components and extensions required to fly your Joomla site. For that, JoomShaper introduced quickstart packs that come with a fresh Joomla package, necessary extensions, and the template. But for a big site, you don’t get the luxury of having fresh Joomla, you have to install the template manually. Today we are in the second article of our long series of Joomla Basics. If you are new in Joomla, and facing troubles understanding how the core stuff work, today's tutorial is for you to get a grasp on how to install a fresh Joomla template on your site. Step 1: First of all you have to login to your Joomla control panel using your username and password. Step 2: Click extensions. On the top of the drop-down menu, click “Manage” and then select “Install”. Step 3: In the Install page, select the option “Upload Package File”. Step 4: Upload your template installation file clicking the “Choose file” option. Then click the “Upload & Install” button. Bravo, the template has now been installed (if you’ve chosen the right package)! Your template is good to go. Step 5: To make the template default for all the pages of your site (that’s the entire website), go to Extensions >> Templates >> Styles. Now set your template to default (click the star button). So, this is the process to install a Joomla template. It’s that much easy and straightforward! After installing the template, you can start customizing the pages with your contents. Also, get your necessary extensions, components, modules and so on. The above template installation method applies largely to existing sites, where you have already some data and contents. But, if you are just starting a site from the scratch, there is a much quicker way to launch a Joomla site with your preferred template. That method involves installing a “QuickStart” pack. In the QuickStart method, you don’t even separately need to install Joomla, the template and most of the required extensions. A single QuickStart pack installs them all! In the next article, we will show you how to install a QuickStart pack. That will be like a magic. Stay tuned! Lot of thanks to your for simplifying the steps, even more, thanks a lot, I followed this and di on my tutuapp website. I wish I could read it a few years ago - Download IMO APK would have saved a lot of time! Now I've learnt it the hard way (including the Error 500 thing!). I've installed you're framework but I can't use PHP functions You know why? ?